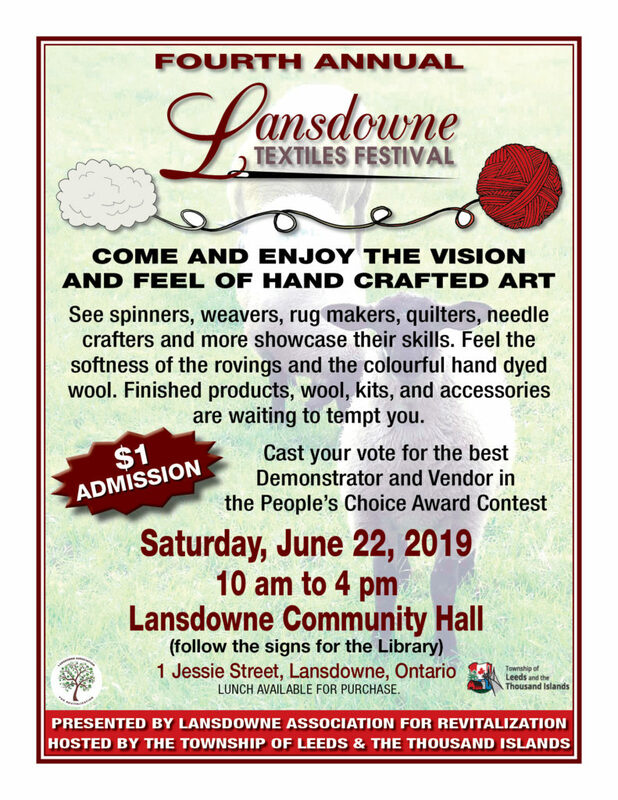 Our 4th Annual Textiles Festival brings together vendors and demonstrations in spinning, weaving, hand dyed wool, rug hooking, knitting, quilting, needle arts, rovings, accessories and so much more. You will see some new and some familiar faces this year. Hosted by Lansdowne Association for Revitalization.